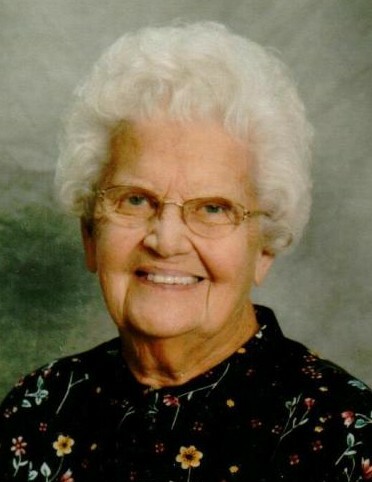 Doris L. Meister, nee Hesterberg, 90, of Waterloo, IL, died January 18, 2019, in Red Bud, IL. She was born September 13, 1928, in Fults, IL. She is survived by her children Deborah L. (Bob) Barnes, Kent V. (Karen) Meister, and Pamela R. (Terry) Rippelmeyer; grandchildren Jesse Barnes, Amanda (Sean) Frenick, Joshua Rippelmeyer, Kate (Tanner) Springer, Eric Meister, Tristan (Karen) Rippelmeyer, and Margret Rippelmeyer; great grandchildren Tyler Barnes, Grayson Frenick, Dane Barnes, Kamryn Barnes, Coen Frenick, Deacon Springer, Harper Rippelmeyer, Ryker Springer, Zara Rippelmeyer, Caylum Springer; sister Lil Hohnbaum; sisters-in-law Laverne Hesterberg and Shirley Hesterberg; brother-in-law Frederick Meister; nieces; nephews; & cousins. She is preceded in death by her husband Willard A. Meister; parents Raymond & Frieda (nee Juelfs) Hesterberg; brothers Vernon and Ray E. Hesterberg; sisters-in-law; & brothers-in-law. Doris was a member of St. John UCC - Maeystown, IL, Women's Fellowship, served on the Consistory of St. John UCC - president 1987-1988, retired from Monroe County Nursing Home after 29 years of service, served on the Monroe County Nursing Home Endowment Board, read to kindergarten children at Valmeyer Grade School for many years, & helped with bingo at the nursing home.